In quite a few pre-workout formulas and NO boosters the unusual amino acid norvaline is present. Whether norvaline is safe, the industry has failed to investigate. And that's a pity, Australian scientists in Toxicology in Vitro. They discovered that norvaline kills brain cells. Norvaline is an eccentric amino acid that, as far as we know, is not present in our diet. Strictly speaking norvaline belongs to the BCAAs. A number of micro-organisms manufacture and excrete norvaline as a biological weapon against competing organisms. The supplement industry uses synthetic norvaline as an ingredient for sports supplements, especially preworkout formulas and NO boosters. Norvaline sabotages the arginase enzyme, and thus increases the amount of arginine the body can use to synthesize NO. Does supplementation with norvaline improve athletes' performance? That has never been researched. We don't have much research about the safety of norvaline either. The researchers placed brain cells - SH-SY5Y cells, to be more precise - in petri dishes and exposed them to norvaline. In concentrations of a few hundred micromoles, norvaline killed the brain cells [bottom left]. The longer the exposure lasted, the more lethal norvaline became [bottom right]. The figure above may reveal how norvaline kill brain cells: norvaline sabotages the energy supply of the cells. The amino acid did not reduce the number of mitochondria, [left] but shrank their size [right]. Mitochondria are the parts of the cell that convert nutrients into energy. The researchers think that their findings are especially interesting for bodybuilders and other athletes, says lead author Kate Samardzic in a press release. [sciencedaily.com February 7, 2019] "Protein requirements are higher in very active individuals and proteins are considered to improve and increase performance", zegt Samardzic. "The demand for amino acids in supplements has expanded but in addition to the normal protein-building amino acids other 'non-protein' amino acids are being taken." "Some non-protein amino acids are toxic because they can mimic protein amino acids and deceive the body into making faulty proteins; a property used by some plants to kill predators." "Some plants can even release non-protein amino acids into the soil to kill other plants so that they can have access to all the nutrients. Chemical warfare among plants is a well known phenomenon. Since there was evidence that L-norvaline has antimicrobial and herbicidal activity we examined its toxicity in human cells." 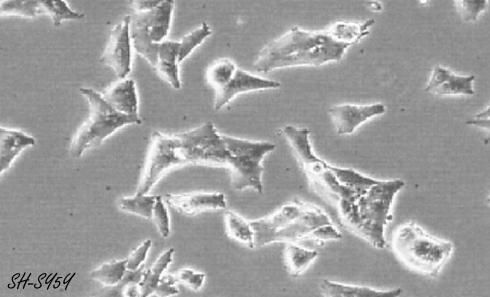 Toxicol In Vitro. 2019 Jan 29;56:163-71. If you want your brain to function as well as possible up to old age, make sure you exercise a lot. Combining two sports supplements may delay the rate at which essential brain cells die off in people with Parkinson's and Huntington's disease. A dietary pattern with lots of edible mushrooms slows down aging processes in the brain, and reduces the risk of dementia.